Have you ever wished for more bookings in your calendar? Some people choose to set seasonal rates, and others reassess their pricing altogether. Whilst these are all good approaches, we felt that there should be more options available to our users to offer people deals and get motorhomes more bookings. Goboony recieves a sizeable number of booking requests for last minute bookings. However, holidaymakers are almost invariably making requests on those more affordable motorhomes. It makes sense that you at least have the option of doing this to your motorhome, so that people would be encouraged to book your motorhome for a spur of the moment trip for the coming week. You can set up the Last-Minute-Deal on the pricing section of your motorhomes profile as shown in the photo below. People looking to book your motorhome will then see the discount when they are inputting dates. 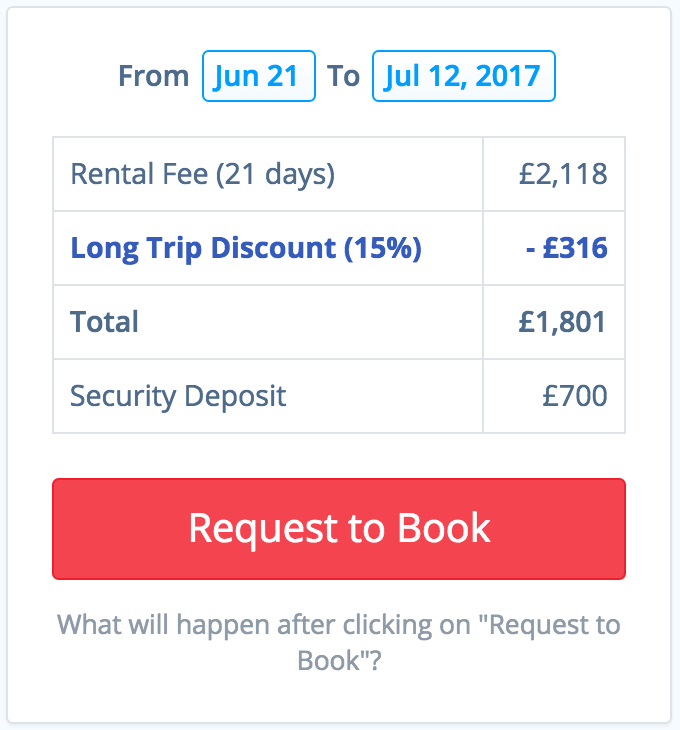 For those of you that are happy to have your motorhome rented out for over two weeks, the Long Trip Deal is a great way to promote longer bookings. There are people browsing Goboony that would love to go on a 5 week motorhome adventure, if the price is right. However until now there has been no way to do this. With the Long Trip Deal you can set a discount on any bookings over 2,3 or 4 weeks. 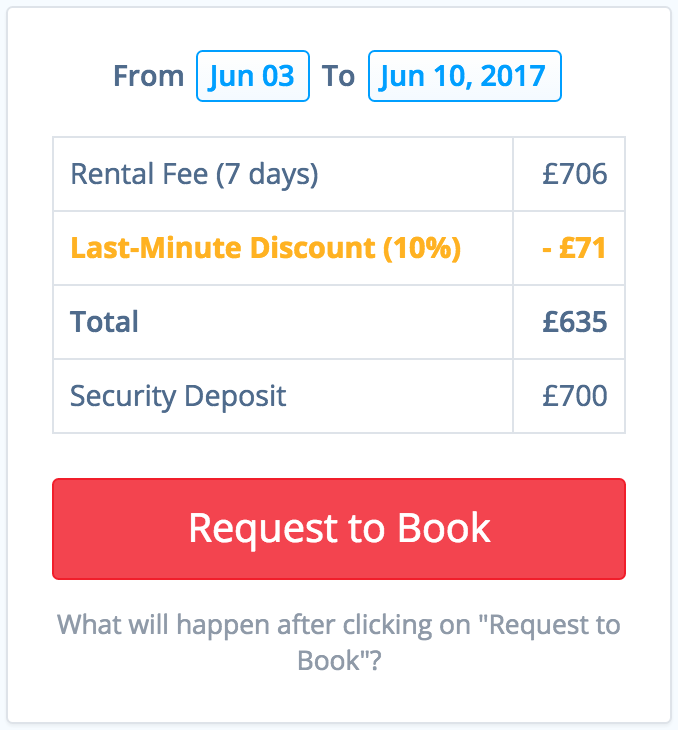 Once again as you can see from the picture below, the discount will be shown to the holidaymaker when they input a booking duration that qualifies for discount. Remember, these offers are optional and it is important that if you opt to use them that you check the new price your hirers will get. Furthermore, the percentage you chose (it can literally be from 1 - 100%) is how much discount you will give, If you want to offer 5% off choose 5% not 95%. You should feel free to change them as you see fit, but also remember that changing these rates and discounts will not alter bookings made before you change them. If you do have any questions regarding the new discount options, or any other aspect of setting your fees on Goboony, our support team will be more than happy to help and advise you.